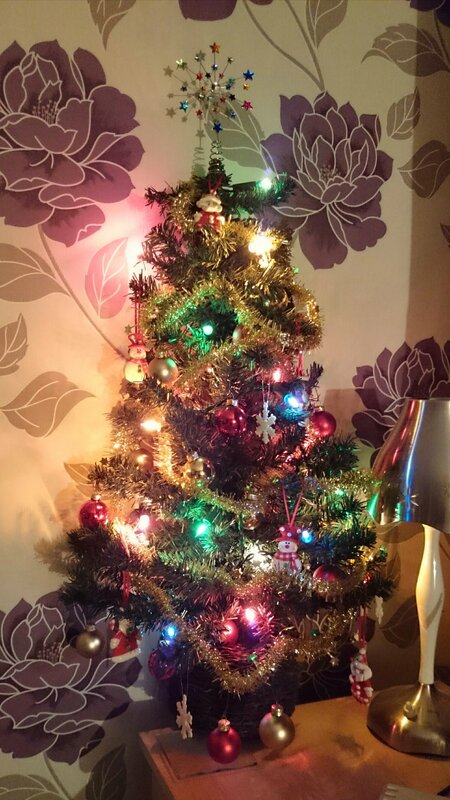 There's only one thing better than twinkling lights, and that's a tree with twinkling lights! You will have already seen that I have several trees at work, so just imagine what my home is like! I have a tree in my bedroom, though I re-decorated in Spring and didn't consider the wallpaper wouldn't be very tree-friendly! I have a little real tree that sits on the coffee table. 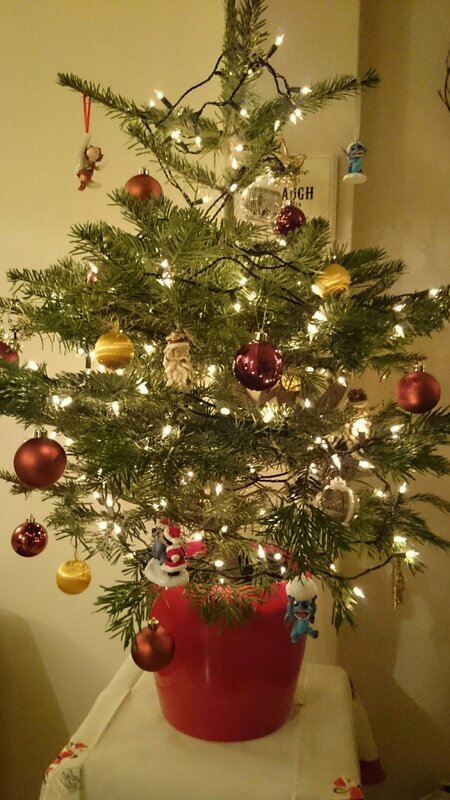 The main tree is an artificial one that I have had for a few years, but this year I found an absolute bargain of a real tree, which I am so pleased about. The chap gave me a lower price as it had grown wonky in the pot, so once home I re-potted it and now it's lovely and straight. 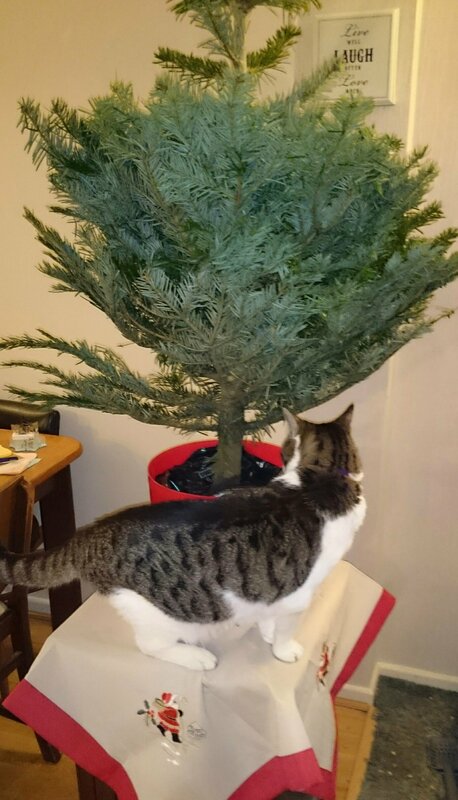 I also remembered why I have avoided real trees for the last few years... Even popping it up on to a table didn't help keep Hali away! I'd only just removed the white string stuff they use to hold it together for transporting! There's a few decorations on it so far, am waiting for the branches to drop a little further. It's hard to believe it's the same tree!